Google today updated the Android Wear SDK for developers and revealed several new features that are headed to its smartwatch platform later this year. Primarily, Android Wear will add a notification indicator to all watch faces. The indicator will appear as a small dot at the bottom of the watch face. The dot indicator will be displayed by default if/when there are unread notifications in any app on the watch. Developers can use the Android Wear SDK 2.2.0 and revised emulator to ensure the dot works with the design of their app. Google says developers can disable the notification dot for their watch face or app if it doesn't fit with their design. Those who choose to use it can configure the color of the dot and ring to suit their needs. 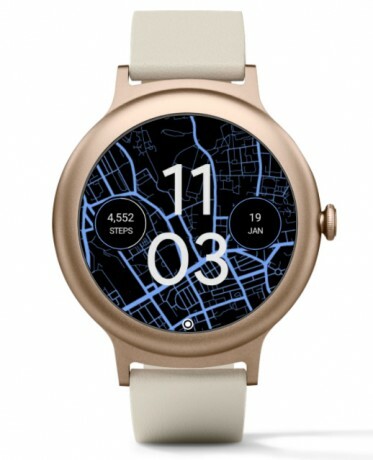 Android Wear SDK 2.2.0 makes improvements to permission handling with a revised ComplicationDrawable mechanism, and developers will have more control over how complications are refreshed on the watch face. For example, developers can choose to refresh their face every minute, rather than every second, which should help with battery life and rendering images within the complication. Google says these and other features will be available to end users in Android Wear 2.9 later this year. For now, developers can download the refreshed SDK and make use of the added tools as they update their smartwatch apps. Google today released all the tools developers need to create applications and update apps for Android O. The company made the final Android O APIs available through an updated SDK. Google today made it possible for Maps users to share their exact location with friends and family. In Maps, users need only tap the blue dot (signifying their location) and select those with whom they'd like to share.